Author J.B. Staniforth takes you on tour with The Deadly Snakes in his new novel, The Deadly Snakes: Real Rock and Roll Tonight. Download some of their tunes, roll up the book, slip it in your bag or back pocket and become a groupie as you follow one of Canada’s most unique bands from their early beginnings as high school friends to their break-up. The Deadly Snakes was a garage-rock and indie band from Toronto that formed in 1996. The group began as “The Boys Night Out Band”, playing in a basement in their early teens. But all that changed when they were dared to perform at a friend’s birthday party, which took place in a laundromat. However, in order to do so, they needed a legitimate name. That’s when The Deadly Snakes was born. “The joke was that we had to be, like, a band, with a real band name. Then the band went on and we were stuck with it,” band leader Max McCabe-Lokos was quoting as saying in the book. Little did they know that this gig would set their music career on fire. 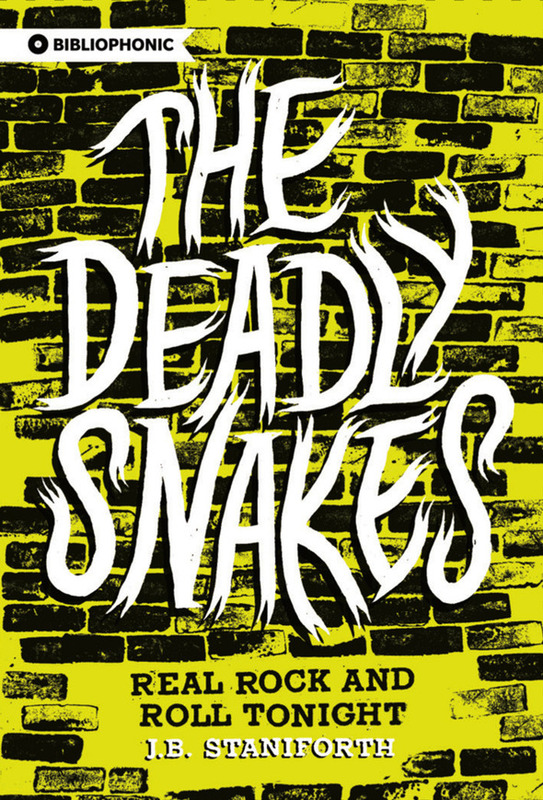 Young, talented, wild and loud, The Deadly Snakes can hardly be contained in a book nor could their music be hushed. It is a cacophony of vocals, guitars, trumpet, bass, mandolin, saxophone and percussion. Their energy and peppery music was instantly recognized and admired. “You were supposed to bump into people, knock things over, break stuff, get someone’s drink down your shirt and wear it all with a grin—because it sounds that good,” writes Staniforth. Their boldness is what distinguished them from any other band at the time. They did not hide their youth and spirit, but let it explode on stage. Staniforth does not only recall the peak moments of The Deadly Snakes, but also their downfalls. The immediacy of his writing heightens the thrill of touring internationally and throughout Canada, as well as the disappointments that arose as tensions grew between the band members. It is quite remarkable how Staniforth is able to translate real outbursts of jealousy, bickering and fist-fights into words. With its ups and downs and rock and roll drama, this book is sure to intrigue both fans and those who have yet to hear the band.